Welcome to the second “Week in Review” on Post Status, where I hope to offer up some of the things you may have missed in the last week or so. My friend Brian Richards is going full-force with WP Sessions and its new VIP offering. WP Sessions is a great way to learn specific WordPress topics from seasoned professionals. As announced on the blog, the new VIP offering is a yearly membership to WP Sessions, and includes exclusive speaker interviews, consistent new content, member discounts for partner products, and a highly discounted price versus buying each session independently. The pricing is $297 per year, but this week, you get $50 off and the first 100 people get a clean $100 off. At any of those prices, WP Sessions VIP is definitely a great offering for those that want to learn WordPress from some really smart people. Curtis McHale was interviewed on the iThemes blog, where he shared some of his philosophies, and how he manages a successful freelance business. From learning, to making money, to acquiring clients, to networking, Curtis has some really great advice here that we should all read. Daniel Bachhuber shared a nice gist last week for a way to achieve “post” style permalinks for a custom post type. More specifically, it allows the inclusion of date parameters in the URL. This is a handy one, for when you need it. There were a couple of fun posts in the last week about hosting. On Review Signal, Kevin Ohashi explained his testing and configurations for stretching a $10 per month VPS to its limits. He was able to stretch it to allow (per his post title at least) 40 million hits per day, based on his peak concurrent visitor tests. 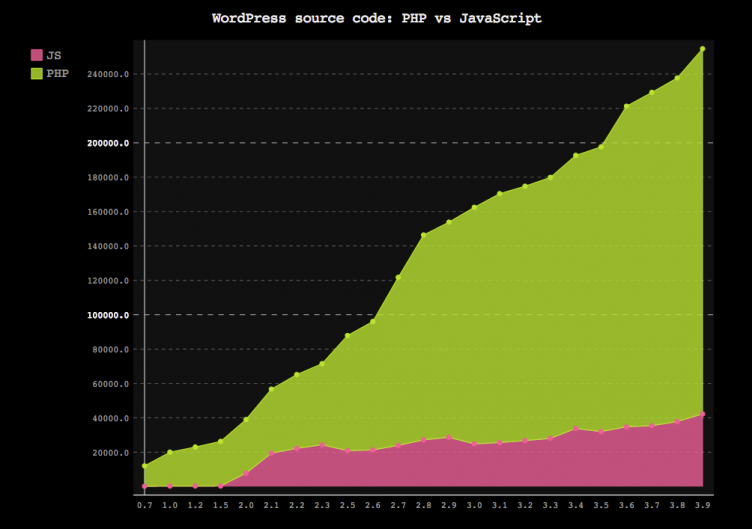 Scaling WordPress hosting is one thing. But achieving ultra-high reliability is often another (though related) thing. Mark Gavalda explains what high-reliability means (at least according to his WordPress hosting company, Kinsta). I found his explanation — while a bit heavy on self-marketing — to be an interesting read about scaling hosting for high volume websites. What is branding anyway? This is the question the guys at WP Ninjas asked, and learned, when they worked with a branding agency to reshape their own brand. They learned some good lessons about the value of a brand, and how to reinforce your brand in everything you do. In a related note, I saw Chris Christoff tweeting about the importance of good brand assets pages for companies. I completely agree, and it was one of the tips I gave when I offered up some marketing tips for WordPress products a while back. Sarah Gooding highlighted an interesting plugin on WP Tavern, called Clarity. The plugin has an alternative workflow for setting hierarchy and page templates in WordPress pages. I’m not sure I’m in love with the concept, but I do think it’s an interesting topic, and perhaps something worth thinking about — as it is a bit hidden to new users in the current format to set hierarchy and templates in WordPress pages. On the subject of pages and WP Tavern, Jeff Chandler also wrote an editorial about how he things page builders tend to do as much harm as good; he thinks they equip users to make ugly websites. Well, that’s certainly true; “with great power comes great responsibility”, the quote goes. I think they have a lot of power personally, but a page builder is no alternative to good design. The discussion in the comments of this post is pretty good. For an uplifting finish to the last week in review, definitely read Chris Lema’s post about how WordPress gives us tools to change lives. In the end, our processes, tools, and other stuff is not near as important as our ability to positively impact those we work with and for. I get the incredible opportunity to show up, into someone’s life and/or business, and say yes. I have a power they don’t have. I can make the pixels dance. I can make the code obey. And I can bring their dreams to life. I hope everyone had a great weekend, and that those readers in the United States enjoyed their 4th of July holiday. I know I did. The week ahead looks bright. Lots of news is already on the way, and I have some fun stuff in the pipeline, including an interview with someone I’ve looked up to for a long time. Have a great week, and be sure to share this with your friends if you enjoyed it!